CreaBoetiek Creations: Tagalon tuesday week 20 "something wicked this way comes"
Tagalon tuesday week 20 "something wicked this way comes"
this week I got inspired by Halloween. 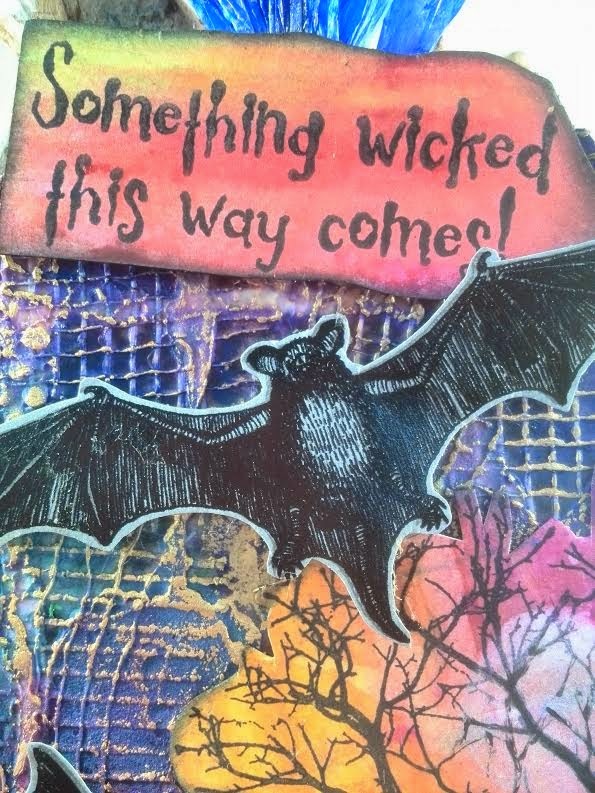 I was working on some Halloween ATC cards for a swap, so why not do a tag as well. 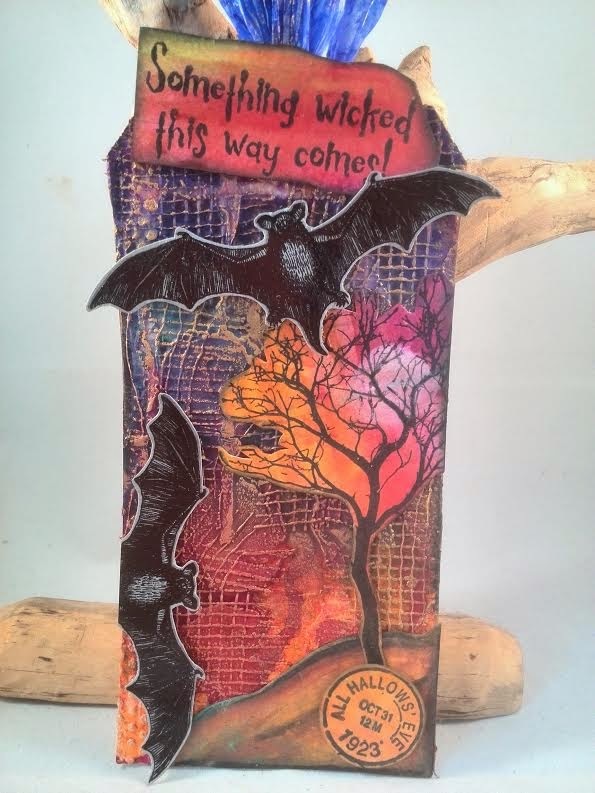 used the tree stamp from Art Journey the other stamps are from Graphic 45. Deze week ben ik geinspireerd door Halloween. 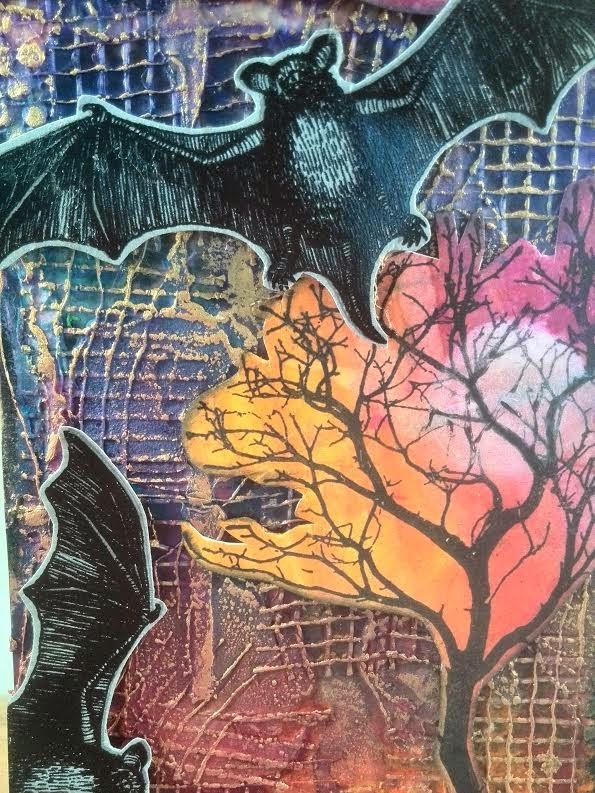 Ik was bezig met Halloween ATC kaartjes voor een swap. De boom stempel is van Art Journey en de anderen zijn van Graphic 45. Je kunt de tutorial hier bekijken. naar jouw tags te kijken. Bedankt Anneke. I really love this tag! I really appreciate you "leaving in" the details, you sometimes think should have been deleted, for I learn so much from all those details. Thank you, Renje, I really am enjoying going through all your previous blog posts and videos. I have a wealth of information on how to use supplies, how to press on after making a whoopsie-daisy, knowing it will be fine in the end, and I have just enjoyed listening to you explain the process you go through. You really are a joy to listen to and watch.